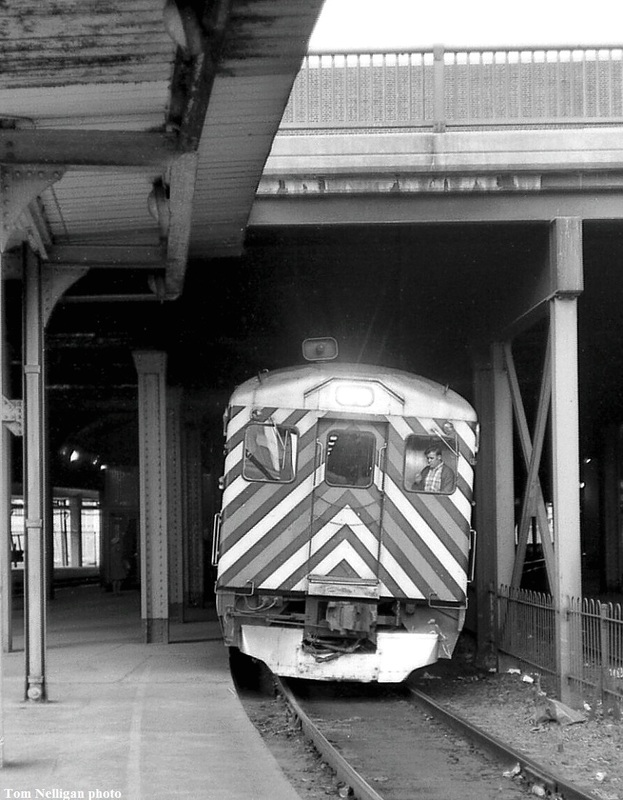 One of the MBTA's former New Haven RDCs, now wearing Penn Central scare stripes, emerges from the short tunnel at the old Back Bay Station on its way to Providence. Photographed by Tom Nelligan, December, 1978. Added to the photo archive by Tom Nelligan, November 3, 2018.